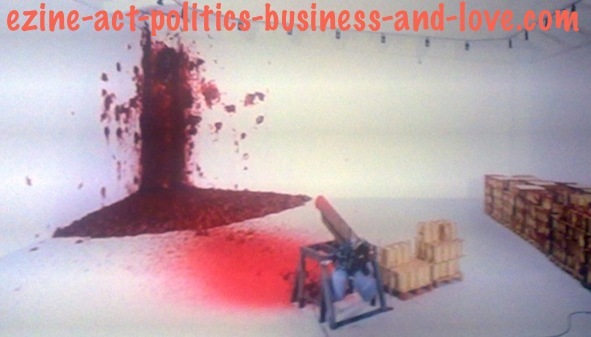 The Zines Commentaries in Business, Love and Politics Categorized! The Zines Commentaries make the site map (18 C) on the Ezine Act's Network to categorize and index the business, love and political commentaries on this network. It includes not only commentaries, but complete articles with good insights in business, love and politics. This is a continuation to the alphabetically indexed commentaries at the site map (18 A) Ezine Acts Comments and the site map (18 B) the Ezine Acts Comment C2 Entries. You'll come with great ideas when you read the indexed articles in the mentioned site maps along with the entire Ezine Acts Site Maps, which includes more than 26 site maps until this moment. You will learn many things and get many values whether they are in business, love, or politics. 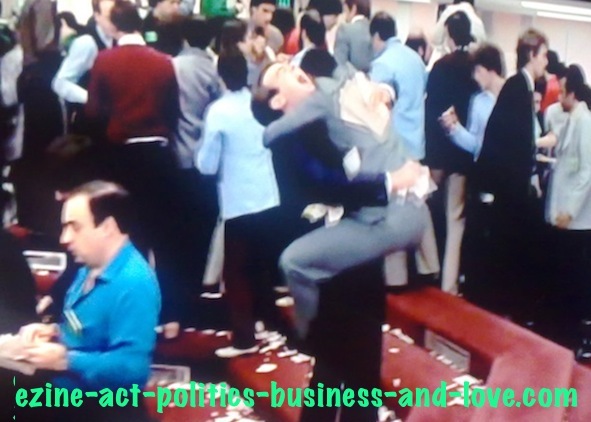 Zines Commentaries: Eddie Murphy and Denholm Elliott in Trading Places. What Would You Learn from the Zines Commentaries? * How to think again of the way you are using, or doing the most things that interest you? You'll know exactly whether you were active, or passive before you read the linked articles in the business category. * How to use one of those things to focus on it? * How to choose the best one of them to do it? * How to build that thing a theme focused site? * How to work it out as a traffic generating machine? * How to monetize it after building it a theme website? Among many things you could get from the indexed articles in the Zines Commentaries and the other site maps, are the ingredients to be professional and manage the theme of your topic of choice. You may find your love problem among hundreds of love consulting requests and the provided love problem solutions could be applicable to yours. Even, if you don't find it, or you haven't any love problem, the volume of sentimental articles in the Zines Commentaries and the other site maps could give you more insights to improve your sentimental life. Well, most of the political views to enrich your political knowledge are moved to the political site at HOA Political Scene. There are few political pages remained here and you could also learn from them more political values. But, I recommend connecting to the focused political site. * home-biz-trends.com/privacy.html - Privacy: What is the level of privacy you have set-up through the tools of your web browser, or the firewall in your machine? As for me, it is always high. But, if you did this you wouldn't have access to important websites to you. If you are thinking of what to do, let the level as it is and include the addresses of the important websites inside your tool, or add them to your favorites. There are more insights about privacy in the indexed articles in the Zines Commentaries and the site map (24) Web Security. * home-biz-trends.com/referral-services.html - Referral Services: refer to affiliate marketing and depend on commercial goods and services. They also depend on leads generating system and lead data base, then strategies and tools to execute capturing leads, contacting them and converting them into clients. This is the way referrals work. This article in the index of the Zines Commentaries gets you the insights you need to succeed in such business, with the affiliate marketing lessons learned and seven shadow strategies implemented and with the techniques required to drive this business. The article is also part of the site map (26) Associate Programs and the site map (20), Internet Marketing. * home-biz-trends.com/relocation-consultant.html - Relocation Consultant: serves two terms here, which seems different from each other. One of the terms is about observing the market move to help business companies to determine whether to make that move, or not. The second term is about helping people to relocate and find new homes, whether they are dream homes, or just "as available homes" for temporary relocation. The indexed article in the Zines Commentaries helps you to specialize in the home relocation business and get equipped by the knowledge you want to operate even roommate finding services. This article is part of the site map (21 A) Offline Businesses. , with its extension into the site map (21 B) Online Free Consulting. * home-biz-trends.com/resume.html - Resume: is not only about the backgrounds of skills you summarize, or a CV you write to get the employment of your choice. It helps you to study its potentials as a business and then guides you to build it step by step. You could use it online to offer free job listing for employers, unemployed persons (job seekers) and companies offering posts. It is also about the techniques to use writing resumes. There are even tools online to create and write resumes through which you could learn the writing process of the resume. This article in the index of the Zines Commentaries is part of the site map (9 A) Articles, with its extension into Articles Section, site map (9 B), Ezine Act Articles Index, site map (9 C) and Ezine Articles, site map (9 D). e-Zines Commentaries: Anish Kapoor Uses a Cannon Full of Colors to Create Shapes and Colors. * home-biz-trends.com/safari.html - Safari: developers claim that they "put great emphasis on browsing not the browser" through innovative features to make "your experience on the web better than it ever was". The browser is developed by Apple Inc. to work with the OS X and iOS operating systems and it was first released as beta for the public on January 7, 2003. There is a Safari version for Windows too. Now, with the glitches including unexpected errors, you might have experienced, which make Safari the worst internet browser in the worldwide web, you may be thinking of shifting to Mozilla, or Chrome, or you have already done. Know this: All of the browsers make errors. Interestingly, the old IE7 had never produced such errors. But, when you see errors, you have to learn how to trouble-shoot them your own. There are many help included in each browser to help you find out why your browser behaves that way. This commentary in the Zines Commentaries include a response at Safari, the worst internet browser in the worldwide web - comments. Which category this article should belong to? I don't know, but as there are digital browsers, I may include it at the site map (17) Digital and Video Products. * home-biz-trends.com/sailing-with-bright-letters-to-venice.html - Sailing with Bright Letters to Venice: is imaginary and at the same time memorial voyaging in the personal history of existence of a human being. Somehow, it seems a fictional genre of writing. But the text include electronic drawing with textual content. So, it is art. Therefore, it belongs to the site map (11 A) Art Links, with its extension into Art and Culture, site map (11 B), Fine Arts, site map (11 C) and French Paintings, site map (11 D). * home-biz-trends.com/sales-letter.html - Sales Letter: is simply about the methods you should consider to write a perfect sales letter to produce sales for your product, or service. Many sales persons use different techniques while writing sales letters to get direct to close the sale. So, what are the best techniques to use? The simple answer is to "make your price sell" here and to to write a sale letter that doesn't sell directly. Write to presell the product or the service. You presell by featuring the product, or service and sometimes providing testimonials credited the product or the service. Anyway, there is something else about the sales letter you'll read through the indexed article in the Zines Commentaries. * home-biz-trends.com/sbi-elearning.html - SBI eLearning: is about learning the secrets of building successful narrow niches out of your personal experiences, any hobby, any knowledge about something and any passion. You only learn this through the website building and optimization tools combined in one place to make the website publishing process a snap. Before getting to some website services to see their offers, make sure that you want all the tools combined in one place and you don't want to pay more for add-ons. Make sure that the tools are the best in the online markets. Make sure that the tools never glitch, or produce errors on pages. This article in the Zines Commentaries is part of the site map (22) Solo Build It, or SBI in appreciation. This is the only one company to offer all of the tools you need to build successful businesses, but not only websites and teaches you the process form A to Z. * home-biz-trends.com/search.html - Search﻿: provides the tips (and also the techniques, when it was about building websites) to perform right searches and to get more experiences while using many search engines to compare, while reading the result pages. You could discover the search engines secrets from this observation and from the set of search engines articles in the site map (5) Free Website Traffic. * home-biz-trends.com/search-by-name.html - Search by Name: While performing the searches mentioned above, experiment with this. Use searches by names. This could give an idea about how to use people names and maybe include it in one term to your website name. You could also find the people you know when you search by names, whether you are about to find your past-time friends, or classmates, or colleagues in the workplaces where you had been an employee. The article with its supportive links in the Zines Commentaries has different angles to use searches for any purpose. But, at the business zone, it would give you the insights you want to make your business better. As Google and Bing are the primary search engines, try to use Yandex and Baidu and searches for even searches in their languages, or in English, or in Arabic. Get experimented with that. * home-biz-trends.com/self-talk.html - Self Talk: is about how to talk to yourself and why you may want to do that. Creatively, and with the psyche included you release your stress by doing that and by even crying loud in the wild. You get your ideal self back, after being depressed. You learn from getting self ideal the qualities you should beware of not letting them to go and then go forward to be optimistic, so you could perform better. The indexed article in the Zines Commentaries is part of the site map (7 A) Inspirations and Motivations, with its extension into the site map (7 B) Motivational Articles, the site map (7 C) Motivational Sites, the site map (7 D) Inspirational Articles and the site map (7 E) Career. * home-biz-trends.com/start-learning-from-free-resources.html - Start Learning from Free Resources: Remember the SBI eLearning above? This is the extension you need to read more, so you could capture the complete knowledge you want, just about any knowledge in any professional field. But, in particular, why not get that field online and build it to make your life better. You could of course do it part-time to keep your job and when it explodes with sufficient income online, you could easily make the shift and quit your offline job. The free resources include the lessons of the Choose It tool, the CTPM Process, e-learning college and the success stories. * home-biz-trends.com/10-hints-to-exhibit-your-artwork-online.html - 10 Hints to Exhibit Your Artwork Online: This is a specification to know exactly how to do that, why you should that and how even to sell paintings online, even if you don't have painting to sell. There is no magic here, bust facts with applicable methods to use your art passion to do any of the mentioned tasks above. The insights included in the set of articles about this specific topic in the Zines Commentaries come with the techniques you need to implement such business. * home-biz-trends.com/wolf3d.html - Wolf3D: extends the techniques you want to use while playing computer games, such as this classical game, with th troubleshooting included to secure your system. The indexed article in the Zines Commentaries is part of the Game Sitemap (13), which includes comprehensive information on Wolfenstein 3D Games. * home-biz-trends.com/yandex-search-engine.html - Yandex Search Engine: Connecting the dots between the "search by name" and "Yandex and Baidu" in the Zine Commentaries index above, is better to continue at this article. You'll learn more about the Russian search engine from the indexed ZINES COMMENTARIES. In addition, if searches are part of your concern, you would be going better in this field to improve your knowledge. * home-biz-trends.com/yearbook-help.html - Yearbook Help: A year book is an annual book to commemorate, highlight, or record the past year. Magazines, newspapers and TV channels, as you can see at iWatchBesTV.com do the same thing annually. So, if how to produce and publish such book is your headache, get the tips included in the Zines Commentaries index here to help you write, design, layout and publish your yearbook. Could you see any of your services on the small buttons on the Zines Commentaries? Use any of your social media, or any other service you see to share Zines Commentaries. Many thanks.